What is CBD and What is Hemp Extract? CBD or Cannabidiol is one of many naturally occurring phytocannabinoids found in cannabis plants. Hemp Extract is non-psychoactive, non-toxic and well tolerated. ​How Does Hemp Extract Work? In 1992, at the Hebrew University in Jerusalem, Dr. Lumir Hanus along with American researcher Dr. William Devane discovered the endocannabinoid anandamide. The Endocannabinoid System (ECS) is essential to the health and healing of the human body. Cannabinoid Extracts reacts with the body through the ECS which is made up of millions of cannabinoid receptor sites. ​Cannabinoids help the human body to maintain homeostasis (or balance) when dealing with external change. The ECS helps regulate immune function, sleep, mood/anxiety, motor control, inflammation, pain, memory, appetitie/metabolism and more. The endocannabinoid system consists of endogenous cannabinoids and cannabinoid receptors (CB1 and CB2) as well as enzymes that break down cannabinoids. This system determines the way we process and utilize cannabinoids within the body both internally and topically. 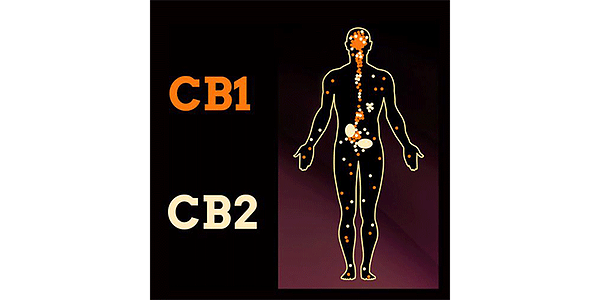 Therapeutic applications of cannabinoids have been heavily linked to CB2 receptors given their connectivity to the immune system. HERE is more on the science of the endocannabinoid system. Discomfort in the body is often the result of inflammation. CB2 receptors are found with the greatest density in the spleen. The spleen handles the filtering of old blood cells to assist in boosting the body’s immunity. The spleen is also responsible for producing an anti-inflammatory response. When assisted by CBD, this response can be greater. That being said, we are often our own worst enemy when it comes to inflammation. It is a warning sign produced by the body rather than a direct disease or illness correlation. Inflammation can be stress-induced (mental or physical), nutrition-related or be derived from environmental toxins. These are areas we can control. Sometimes it is just tough to get out of that funk. When envisioning cannabis for its mood-boosting properties, what commonly comes to mind is a picture of stoned hippy characters without a care in the world. Again, CBD does not have the psychogenic effects of THC, so it will not get you high. 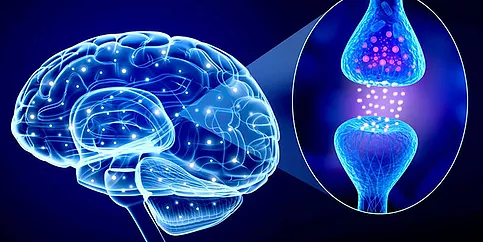 Research has shown correlations between CBD and boosting the production of serotonin through its positive interaction with 5-HT1A, which is a subtype of the serotonin receptor. Sleep disorders are surprisingly common, with 60 million adults in the U.S. affected on average. The underlying cause of sleep disorders is often related to something that is not the actual sleep. Common issues are pain and discomfort or stress and anxiousness. Many have found CBD effective in assisting with sleep issues. In smaller doses, CBD actually interacts with the same receptors as caffeine, causing alertness. The effects of CBD on sleep for the general population, without underlying issues, may stem from its ability to assist the body in achieving homeostasis (balance). CBD has shown to be useful in combating stomach discomfort. This could be from sickness, a long night of drinking, or anything else that may make you want to lose your lunch. There are a number of studies specifically directed to the effectiveness of CBD for easing stomach discomfort for chemotherapy patients. The federally operated U.S. National Cancer Institute has even boasted CBD’s effectiveness in calming the stomach. The U.S government has patented CBD as a neuroprotectant. Neuroprotectants are defined as substances that help shield the nerves from damage or death. They do more than just helping out when people get hit in the head. Trauma is not the only thing that can damage brain cells. Alcohol use, age-related degeneration, oxygen deprivation and more could cause serious long-term issues. Here is what the science behind the patent says. “CBD studies show that it has huge impacts on regenerating the brain and healing it properly”. THC and CBD are known to have opposite effects on the skin, so let’s be clear that we are talking about CBD. Applying CBD to the skin may help the endocannabinoid system achieve proper balance. The linoleic acid found in CBD works to regulate the production of oil on the face.